Spacious studio. Comfortable bed. Hot water. Good cleaning staff. 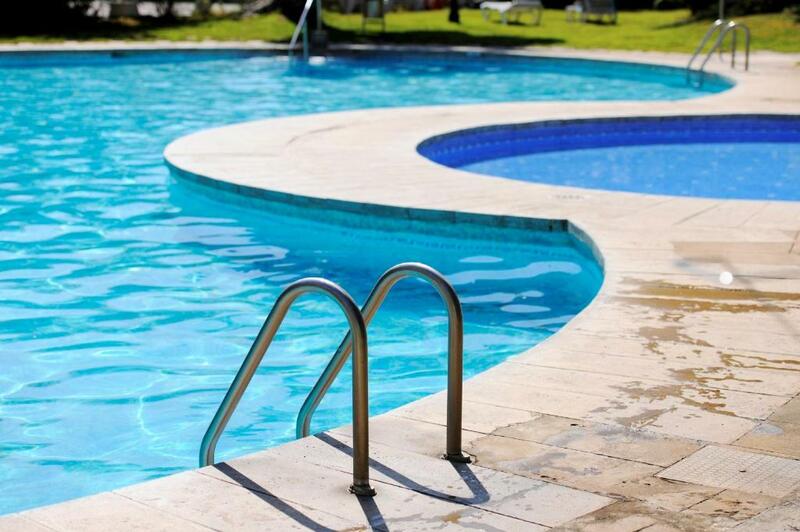 It was spotless cleaning staff on the corridoor were very friendly (not the pool staff) the location was good,the beds were comfortable we had our studio cleaned five times a week,the receptin staff were helpful. Nice location, nice and simple! Just the way I like it. Best part were staff! Jose and Yurena were amazing, long time haven’t seen so friendly and helpful people! Went extra mile with helpful tips and big smiles and very morning they would remember us! Was my birthday and I was in need of doctor! Their advises made best birthday! Even though it was raining all day! And found best doctor and was fine soon! Arrived late in the evening and received a very friendly welcome. Everything explained clearly, all staff very helpful. My room was very clean with pristine white walls. Amenities in the room were basic, however, everything you need for a stay here. My room had views of mount Teide and also overlooked the pool, which is in a beautiful well maintained garden. Breakfast was included for my stay, good selection of food, something for everyone. 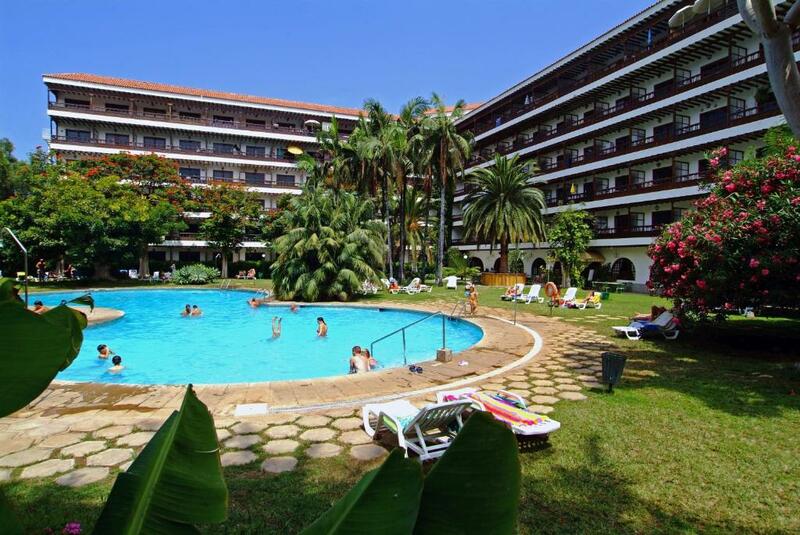 This hotel has an excellent location with shops, bars and restaurants close by. A supermarket is 2 mins away, beach about 15 mins walk. The walk isn't for the faint hearted as lots of steps but taxis are very cheap. On the whole I have very much enjoyed my stay at Teide Mar and would most definitely stay here again. Stayed in a junior suite and the room is smaller than the standard room. It is definitely prettier but no shelves in the kitchen for your things. Nice with a window in the bathroom. The standard room doesn't have that. Met a very friendly cleaning lady but she seemed a bit exhausted so there should be 2 when she is cleaning. Dmax channel is great and in English. There is also a movie channel that sends the movies in their original languages and most of the movies were American. Standard room has this too. 10 euro deposit for remote control but you get that back when you check out. Localização e a limpeza no geral. E o staff era simpático e prestativo. 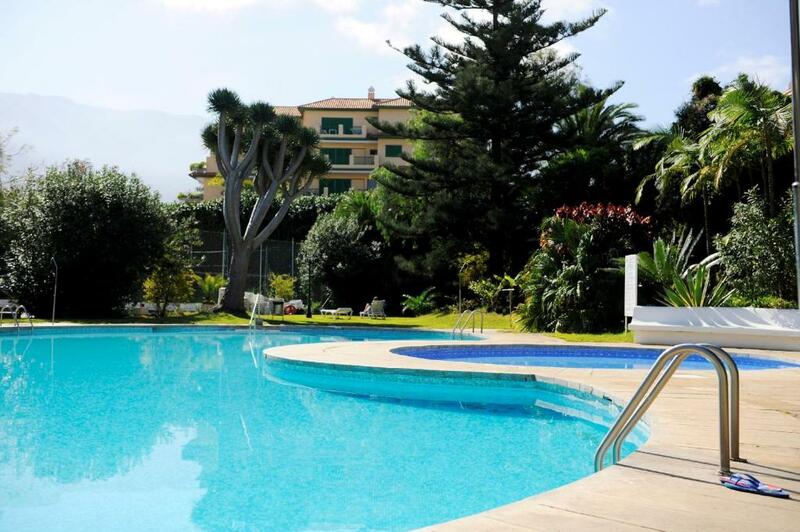 Set in 4000m² of tropical gardens, Apartamentos Teide Mar is a 10-minute walk from Puerto de la Cruz Beach. It features a large outdoor pool and studios with balconies. The Teide Mar has traditional Canarian-style décor and wooden verandahs. Its bright studios have seating areas with satellite TV and a kitchenette with a fridge, hob and toaster. Canarian and international cuisine is on offer at the Teide Mar’s buffet restaurant. Guests can enjoy a drink in the bar or on the terrace. 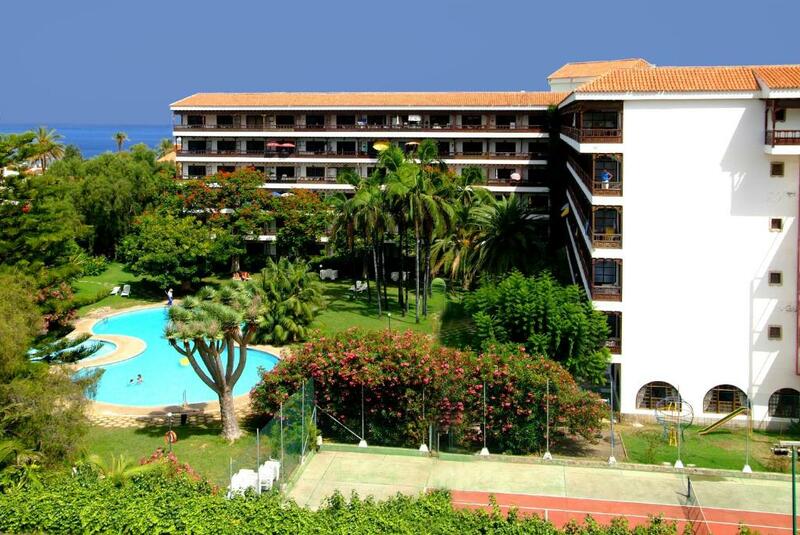 The Mar complex offers views of the Orotava Valley, the Atlantic Ocean and Mount Teide. The famous Puerto de la Cruz Botanical Gardens are just 10 minutes’ walk away. The surrounding La Paz area has a selection of restaurants, bars and shops, while the centre of Puerto de la Cruz is within 500 metres of the complex. זוגות אוהבים את המיקום הזה במיוחד — הם דירגו אותו 8.1 עבור טיול לזוג. מתי ברצונכם לשהות ב-Coral Teide Mar? This spacious, comfortable studio features a bedroom-living room with twin beds, a sofa bed, and a dining area with a table and chairs, as well as a wardrobe. The studio has a kitchenette with a fridge, an electric hob and kitchenware. There is also a private bathroom and a furnished balcony. An iron, ironing facilities and hairdryer are available for hire at the reception. A safe is available for an additional charge. The studio is cleaned 5 days a week, while towels are changed 3 times a week and bed linen are changed 2 times a week. This spacious, comfortable studio features a bedroom-living room with twin beds, a sofa bed, and a dining area with a table and chairs, as well as a wardrobe. The studio has a kitchenette with a fridge, an electric hob and kitchenware. 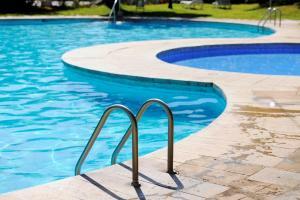 There is also a private bathroom and a furnished balcony offering views of the pool or the gardens. Iron, ironing facilities and hairdryer are available for hire at the reception. This spacious, comfortable Junior Suite features a bedroom-living room with twin beds, sofa and a dining area with a table and chairs, as well as a wardrobe. The Junior Suite has a kitchenette with a fridge, an electric hob and kitchenware. There is also a private bathroom with hairdryer and a furnished balcony. Iron, ironing facilities are available for hire at the reception. The Junior Suite is cleaned 5 days a week, while towels are changed 3 times a week and bed linen are changed 2 times a week. This spacious, comfortable Junior Suite features a bedroom with a seating area. It has 2 single beds, a sofa and a dining area with a table and chairs, as well as a wardrobe. There is a kitchenette with a fridge, an electric hob and kitchenware. There is also a private bathroom with a hairdryer, and a furnished balcony offering views of the pool and gardens. Ironing facilities are available for hire at the reception. Clients can enjoy its 4000 m2 of lush subtropical gardens while being just meters away from popular restaurants, bars and shops as well as the famous Botanical Garden of Puerto de la Cruz. 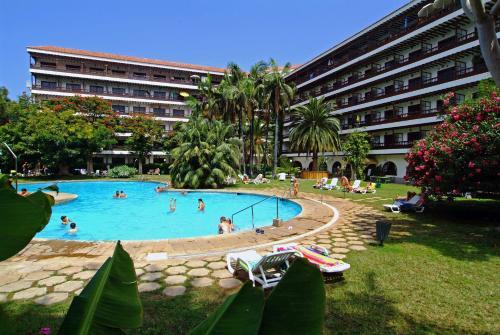 The centre of Puerto de la Cruz is only a 15/20 minute walk away, including the Lago Martiánez sea-water complex, the beautiful fishing harbour, and the picturesque old town centre and its typical squares and colonial buildings. 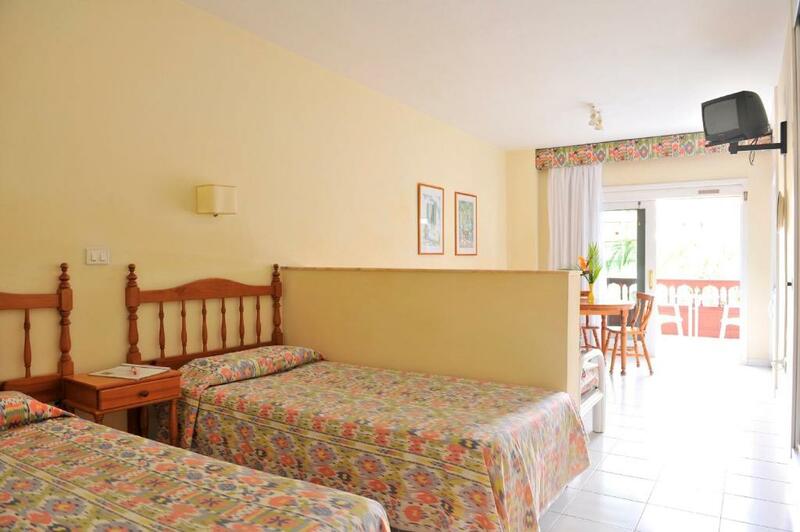 Situated in La Paz, one of the most popular residential areas of Puerto de la Cruz. חשוב לדעת מקום האירוח Coral Teide Mar מקבל בקשות מיוחדות - הוסיפו אותן בשלב הבא! Coral Teide Mar מקבלים כרטיסי אשראי אלה, ומחזיקים בזכות להחזיק זמנית בסכום מוגדר מסויים טרם הגעתכם.